Squalene is a naturally occurring compound produced by all plants and animals including humans. It has many functions in the body including acting as a precursor for various hormones and Vitamin D. It is one of the most common lipids produced by human skin cells and acts as a powerful moisturiser, however, it is also susceptible to oxidation. Olive squalane is a saturated form of squalene that far more stable, squalane is the most common form of squalene used in cosmetics. Olive Squalane is an essential ingredient for skin products where a regenerative effect is desired. Young skin produces sufficient levels when it's young but as we age the levels drop considerably and this may be responsible for many of the signs of ageing skin such as the tendency to become thinner and damage more easily. Including Olive Squalane in your daily routine can help to replenish the natural levels in the skin and can help to restore a more youthful appearance. Squalane also offers an improved skin feel to products and enhances absorption of other ingredients into the skin. I have extremely dry skin and I used about 5 drops of this on my face and it left my skin soft and supple without greasy and shiny appearance. Definitely would buy again. This is a very good facial moisturising oil for those with fungal acne and/or regular acne. 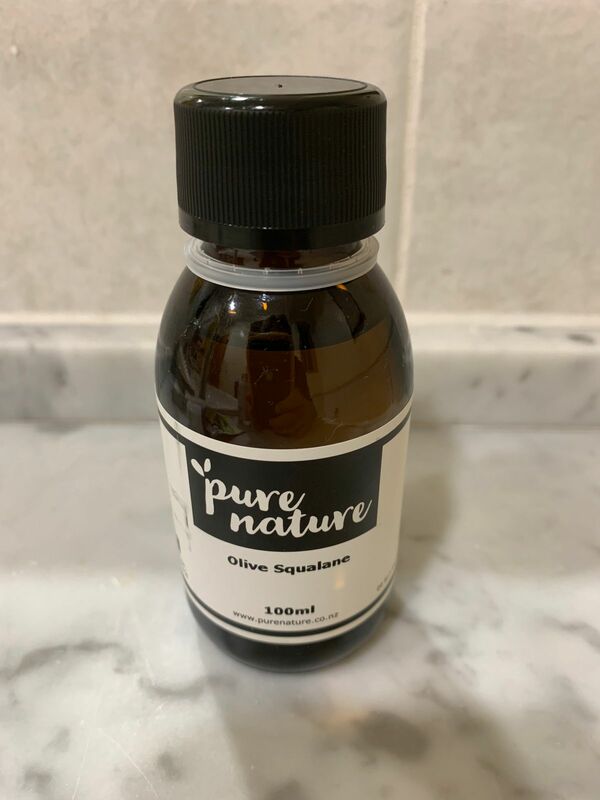 bella s. Reviewed by bella s.
I use squalane oil as a moisturiser and it is amazing! doesn't break me out and gives my oily t-zone lasting moisturisation without an oily sheen and my more normal cheeks lasting moisturisation aswell. I use 2 drops for my whole face and use morning and night. love it! Alecia G. Reviewed by Alecia G.